ITV’s top ice skating spectacular returns to our screen and also our stages as the Dancing on Ice Tour comes to the SSE Hydro Glasgow in April 2018. 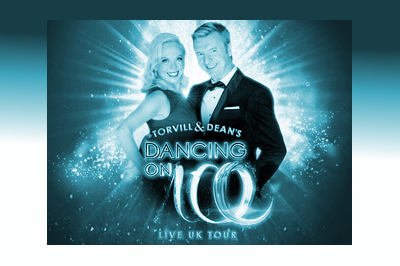 This years TV show boasts Jake Quickenden, cricketer Monty Panesar, Candice Brown and Kem Cetinay all donning the skates, joined by the head judges Jayne Torvill and Christopher Dean. The two judges are confirmed for the tour, but no news yet on who will be skating for our pleasure, but fans will be guaranteed a spectacular event.